In a recent interview, France's former president Francois Hollande described Putin's foreign strategy as follows: Russia will try to get away with whatever it can, and will only negotiate when it encounters resistance. This logic is evident not only on the battlefield, but also in the diplomatic arena. This is what makes Russia so different from its European counterparts: while Europe negotiates first and acts second, Russia acts first and only then negotiates. Militarily and diplomatically, this strategy can be seen in contemporary Eastern Ukraine and Syria — as well as Georgia in 2008 or Moldova in 1992. Less visibly, but crucially, it has also emerged in Russia's hidden diplomatic games. 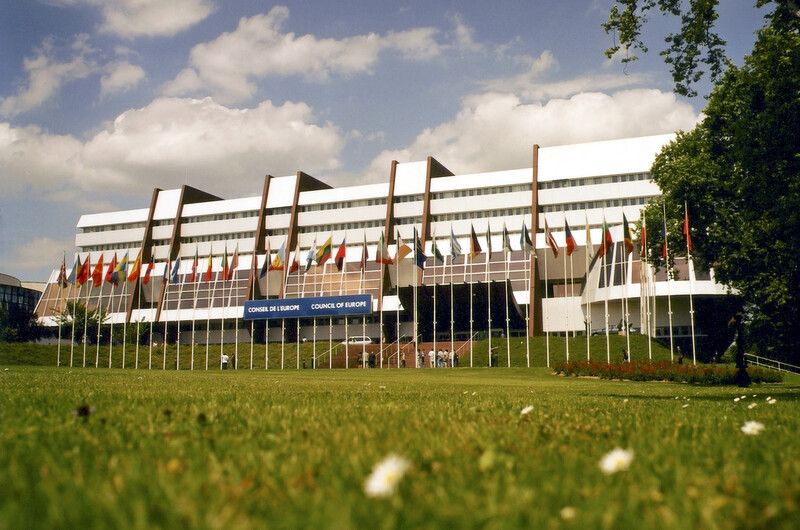 One of the recent ones is related to the Council of Europe, the continent's oldest democratic institution. In 2014, the Council of Europe's Parliamentary Assembly (PACE) imposed sanctions on Russia for illegally annexing Crimea and military aggression in Eastern Ukraine. PACE deprived Moscow of its voting rights and representation in PACE's key bodies. In response, Russia left PACE's meetings (it stopped submitting credentials for PACE sessions) and even ended its financial contributions to the Council of Europe altogether. At first, this blackmail had little influence. In 2016, PACE was especially strong on Russia: it adopted several resolutions, in particular Resolution 2132 (2016), in which the Assembly demanded that Russia "reverse the illegal annexation of Crimea and allow Ukraine to regain control of the peninsula" and "withdraw its troops from the territory of Ukraine and stop providing the separatists with military supplies". In response, Moscow repeatedly stated that it would not fulfil any of PACE's conditions, leaving the situation in a deadlock. But since last year, Russia has tried to restore its rights, despite refusing to meet the requirements. Moreover, instead of implementing PACE rules, it now aims to change them. This is what is going on today: Russia is trying to undo PACE's sanctions by changing PACE's rules themselves, making it difficult for this organisation to sanction any violation at all. We explained the technical details of the situation; many prominent European politicians and intellectuals signed an open letteragainst this development. But the battle is still ahead. The key problem in this story has been Russian impunity. If someone has the right to violate Europe's fundamental values with little to no sanctions, or with sanctions that are later revoked, this bodes ill for European democracy. For the Council of Europe it is important to remember that Russia's military presence in Eastern Ukraine and its annexation of Crimea have not only led to violation of Ukraine's territorial integrity and sovereignty. They have also led to a significant worsening of human rights in territories that Russia occupied. In Crimea, for example, Russia is bringing back old Soviet practices, turning the region into a powerful military base, a threat to both Ukraine and NATO members. Crimea has also become a testing ground for integrating occupied territories into Russia. The most active citizens who did not welcome Russian annexation were forced out of the peninsula. They have been replaced, through controlled migration, by Russian citizens coming from different regions. Those who stayed have been forced to take Russian citizenship. Russia's occupation of Crimea resulted in massive human rights violations, discrimination against Crimean Tatars, the elimination of independent mediaand the establishment of a political persecution system. Representatives of Russia's occupational authorities have been involved in 37 out of 44 violent disappearances of residents in Crimea. Some of these cases are well documented: when Ervin Ibrahimov, a Crimean Tatar activist, was abducted in 2016 by law enforcement officers, this was recorded on video. It is still unknown where Ibrahimov is now. His parents have been waiting in hope to meet their son again for the last two years. The forceful implementation of Russian law provides enough space for arbitrary restrictions. For instance, it allows to punish "missionary activities" if taken beyond specified places. People in Crimea are now being persecuted even for "reading the Bible and prayer", "distributing leaflets with an invitation to a house of prayer", "religious songs", and so on. As of September 2017, the number of religious communities fell by 63% compared to the beginning of 2014 (see a statement by Russian human rights council, p. 2). Instead, the number of political prisoners is constantly growing. At least 70 people, mostly Ukrainians and Crimean Tatars, have ended up behind bars based on fabricated charges. This number includes filmmaker Oleh Sentsov, human rights activist Emir-Usein Kuku, Crimean farmer Volodymyr Baluh and many others. Russian occupational authorities have even started arresting lawyers of political prisoners. Things are worse in the eastern Ukrainian territories that have been occupied by Russia since 2014. Roughly three million people live in the "grey zone" in Donbas where no legal authority exist. Their freedom and lives depend exclusively on the will of pro-Russian paramilitary groups. From the very beginning of the conflict, these paramilitary groups have terrorised civilians in order to gain control of the region. Physical aggression, kidnapping, torture and expropriation have become regular occurrences. The so-called "People's Republics" controlled by Russia established an entire network of illegal prisons known as "basements". Hundreds of people still remain in captivity. There are many civilians among them, including journalist Stanislav Aseev, who had been writing under a pen name in occupied Donetsk. All of them should have been immediately released if Russia took the Minsk peace agreements seriously. Instead, some of them have been kept in prisons for four years. Even international organisations like the International Committee of the Red Cross do not have access to them. This is the reason why we don't even know the exact numbers of captives. However, judging by the testimonies of former detainees, we do know that they suffer from torture irrespective of age and gender. "I begged them not to beat me and told them that I was pregnant," one of the former detainees said. "They said in response that it is very good that an Ukrop [derogatory term used to designate Ukrainians] child will die. They beat us with everything they had: clubs, legs, even the bulletproof vests that they recovered from us. They beat us all over. They stubbed out their cigarettes on me. They blindfolded me with tape because I watched and yelled when others were beaten. I was in my third month of pregnancy and I began to bleed because of being beaten…"
Numerous other testimonies are included in a 2015 report by a coalition of human rights organisations. Read this report to understand how miserable life can be in the Russian-occupied "People's Republics" in eastern Ukraine. Russia denies its involvement, saying this conflict is entirely a matter of Ukraine's "internal affairs" during a "civil war". However, it is well known that these paramilitary groups persist exclusively due to Kremlin's financial, political and military support. Russia bears the entire responsibility for human rights violations here. An important thing to understand is that the Kremlin repeats its practices in different countries and regions. A large group of Russian citizens that has committed war crimes in Crimea and Donbas have been previously active in Chechnya and Transnistria. One of them, Igor Girkin (Strelkov), tortured people in the occupied town of Sloviansk — and there are many others. If we do not end the cycle of Russian impunity, then it will recur in other post-Soviet states, and beyond. Obviously, Russia remains an important country for the world today, and every nation can choose how it will proceed with its dialogue with Moscow. But this dialogue should not accept Russian impunity. It should not ignore Russia's assault on human rights. It should not open the door for an authoritarian country to change democratic institutions. Organisations such as the Parliamentary Assembly of the Council of Europe must remain what they have been designed for: institutions that ensure strengthening and promoting human rights, democracy and the rule of law on the continent. No violator can restore its rights unless it fulfills the conditions PACE has set. No fundamental value should be compromised, not even in tiny detail. We should remember what PACE's own resolution says about Russia: it should "reverse the illegal annexation of Crimea" and "withdraw its troops from the territory of Ukraine". There should be no return of Russia to PACE until this happens.